Redwood City, California- Nick Rimando, a Filipino-American citizen got lucky to be on the US Men’s National Soccer team roster for the upcoming 2014 FIFA world Cup to be held in Brazil. His role is going to be one of the three US team goalkeepers together with Tim Howard and Brad Guzan. The Twitter was the first witness of his zest when he expressed how excited he was after he got appointed. He said there that living in his dream, he felt so blessed and honored to represent the USA in the 2014 World Cup. It indeed his pleasure and great privilege to be chosen. Way back when he was 14 years old and played some of the best soccer led him to this prestigious announcement. He led Major League Soccer’s Real Salt Lake to a 5-0-3 record in the eight games this season. He did great with 31 saves and three shutouts. A sum of 14 caps with the US national team was the total number he has collected up to present. In year 2013, the CONCACAF Gold Cup benefited a lot from his assistance, by allowing just mighty four goals in six games. 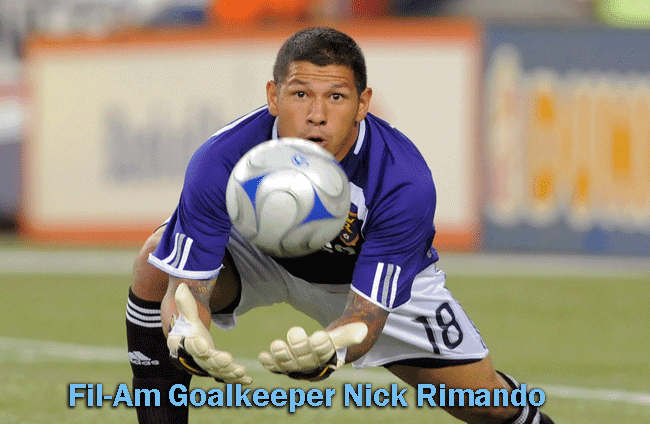 Surely, Nick Rimando is going to be far more excited to be in the World Cup representing US’s name. On the other hand, the US has set off all the necessary preparation for the beginning of its championship campaign that will be held in Ghana on June16 respectively.